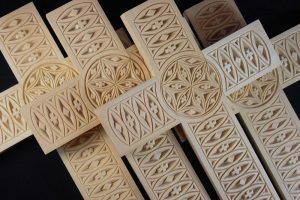 Chip carving has been around for hundreds of years, has been practiced by men and women of all ages and from all walks of life, and continues to grow in popularity around the world. There are a number of reasons why this is the case. Chip carving has a low startup cost, does not require any special artistic ability, can be done anywhere, and does not take a long time to learn and to achieve good results. Getting started in chip carving does not necessitate a large investment. Many styles of carving require the need for a wide variety of assorted straight chisels, bent chisels, round nose chisels, gouges, v-tools, skews, parting tools, mallets, vises, carving benches, aprons, gloves, thumb guards, paints, and brushes. This expense can quickly add up to many thousands of dollars. 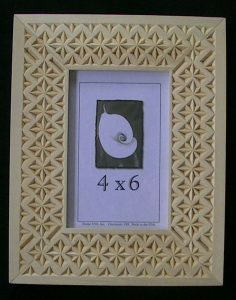 Chip carving appeals to hobbyists/carvers/beginners with any size budget. Complete chip carving kits are economical and include everything needed to get started. Many people I interact with who see my chip carved items respond, “I could never do that. I’m not artistic.” The good news is that no artistic ability is needed to become a skilled chip carver. It is all about technique! While some chip carvers enjoy the design aspect of creating patterns, this is not a requirement. A lack of artistic ability is no excuse for anyone wanting to learn how to chip carve. Chip carving is also ultra-portable! At home you can chip carve indoors, outdoors, on the porch, in the workshop, in the living room while relaxing with your family, in the family room in front of the fireplace, in the kitchen, and in your favorite chair in the den. Pack your knives and project in a bag and bring your project with you on your next camping trip, when you take a road trip, or as a nice way to spend some down time on vacation. All it takes is your set of knives, sharpening kit, and projects and you’re all set. An important reason why chip carving can be done anywhere is because it does not make a big mess. Of the various types of carving, chip carving is probably one of the cleanest because there are fewer chips created. I chip carve regularly on a chair in my family room and simply vacuum up the chips when I’m done. The clean up is quick and easy. Another reason why chip carving is a great style of carving to learn is because it does not take a long time to learn how to produce nice carvings. Chip carving is really quite easy. If you practice good technique, use beginning patterns, and regularly practice the basic skills, good results can be obtained in a matter of months. When I teach chip carving classes, my beginning students are always impressed with the good results they are able to obtain in just their first day, often in the first hour or two! Most students will have that “Ahhh” moment when their first chip pops out. This is much different than other styles of carving that can take several years and require a natural artistic ability to attain proficiency. This is one of the advantages of chip carving that makes it appealing to so many. Learning how to chip carve is not difficult. 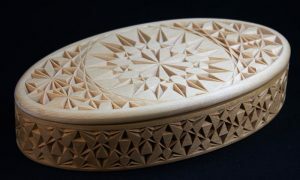 You will quickly find that chip carving is a very enjoyable pastime and rewarding hobby that eventually you will want to pass on to your friends and family. 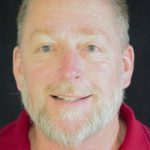 Marty Leenhouts has 30 years of teaching experience and is the owner of MyChipCarving.com and EZcarving.com. His videos have 2.5+ million views and he is the author of Chip Carving Essentials: A Step-by- Step Guide to Successful Chip Carving. Very inspiring, thank you for sharing you talents.